The Artís Elite Linear 1 has a very narrow (about 1-2 mm) row of fibers to help concentrate product application in a line, such as along the lash line. 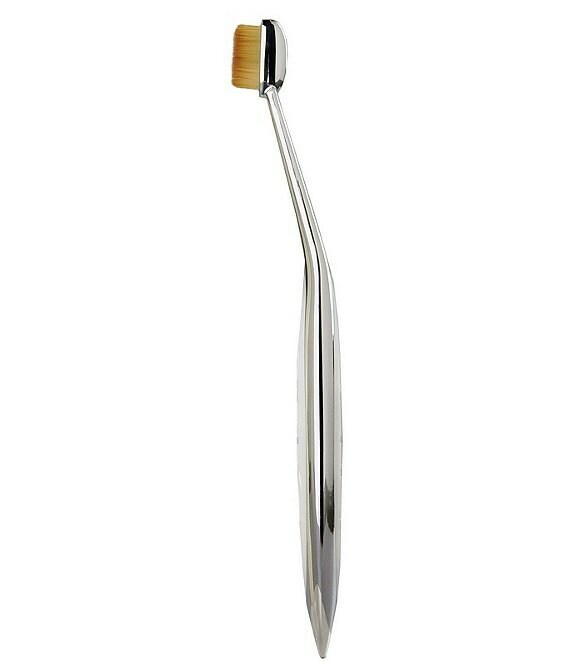 This patented brush can apply a precise line of product along the upper lash line or tucked under the lower lash line. It can also be used to fill in and define the brows and can simulate brow hair lines, or it can be used to apply a defined line along the lip or any other part of the face. The Linear 1 brush is also very helpful for special effects makeup, creating crisp lines and linear shapes. Artís brushes are made exclusively with CosmeFibre, a revolutionary engineered fibre made for applying cosmetic and makeup products.